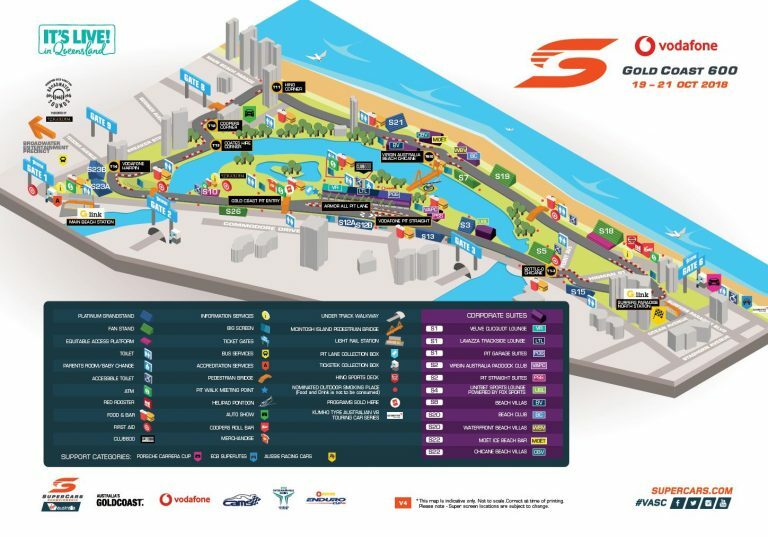 The Vodafone Gold Coast 600 circuit sees the track cover 2.96km. The layout allows for better spectacle, providing fans with great on-track action and entertainment value. The track layout and design means is designed to reduce disruption to the local traffic and residents.